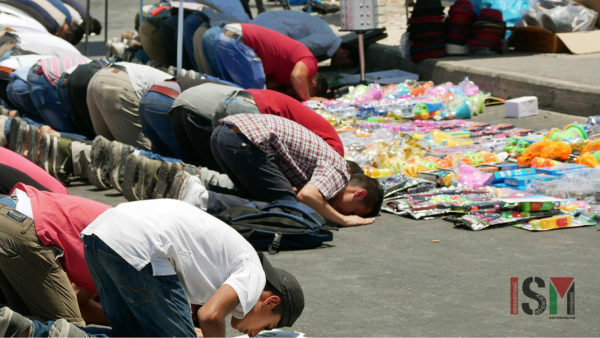 Throughout the morning of Friday 8th June, many Palestinians passed through Qalandiya checkpoint into Israeli-occupied East Jerusalem, in order to pray at the Al-Aqsa mosque. 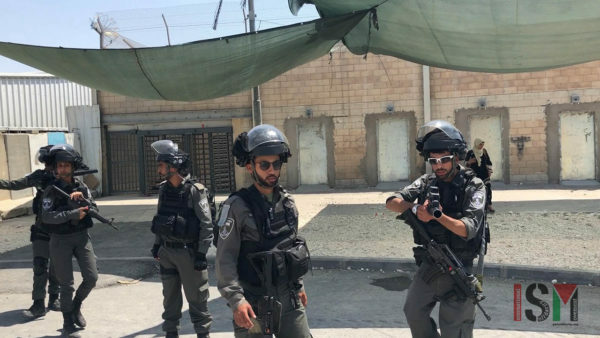 The Israeli government allows a slight easing of the travel restrictions that ban most Palestinians in the West Bank from entering Jerusalem, only for Friday prayers during the month of Ramadan. 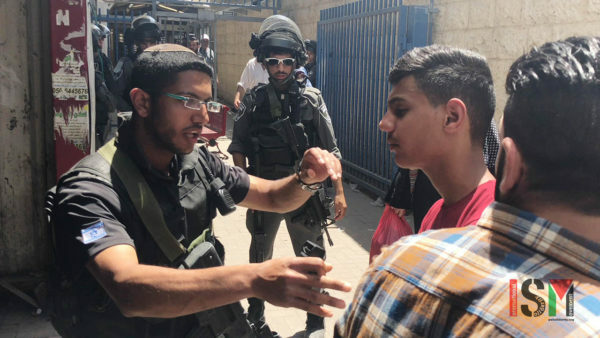 Older men above 45 or 50, women of any age and children under 12 are allowed to pass through to pray in Al-Aqsa mosque in occupied East Jerusalem on Fridays, although this year the Israeli military have not allowed anyone from Gaza to travel to Jerusalem. 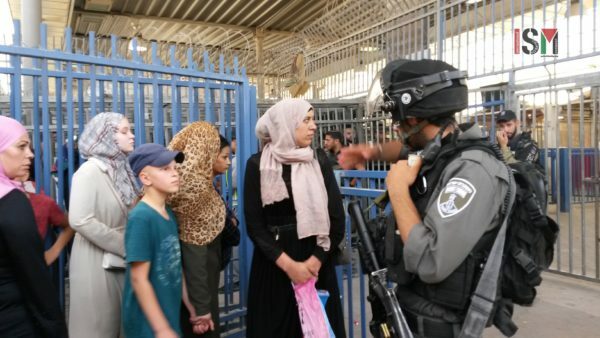 Also, despite the easing of the occupation’s restrictions of freedom of movement for Palestinians during Ramadan, many older men, women and children do not get to make it through for arbitrary reasons or because of delays at the checkpoint. It was apparent that many women, children and older men were not allowed to pass through this morning. 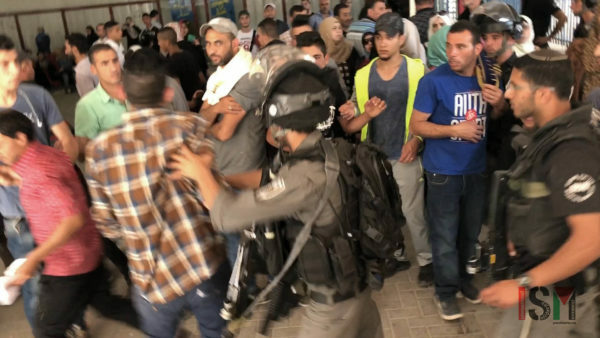 Outside a pedestrian entrance to the waiting area from the main road, at around 1145am, Israeli police assaulted a middle aged woman, ejecting her from the waiting area and shoving her onto the floor. 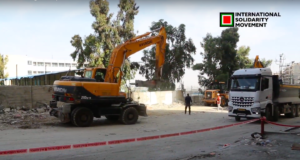 Watch a video from Quds News Network here. Israeli police and border police then closed a pedestrian entrance towards the checkpoint from the main road and made many of the people, mainly women, trying to pass through walk around. 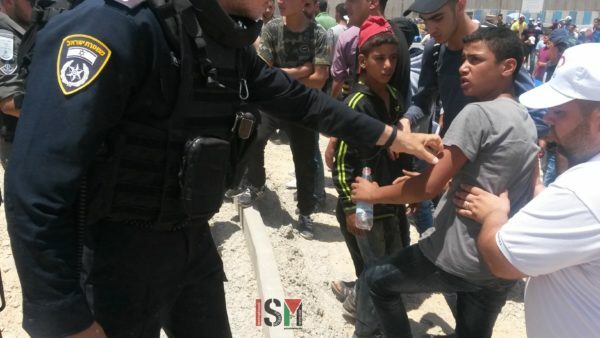 Israeli forces pushed and shoved many young men and children gathered outside the checkpoint. 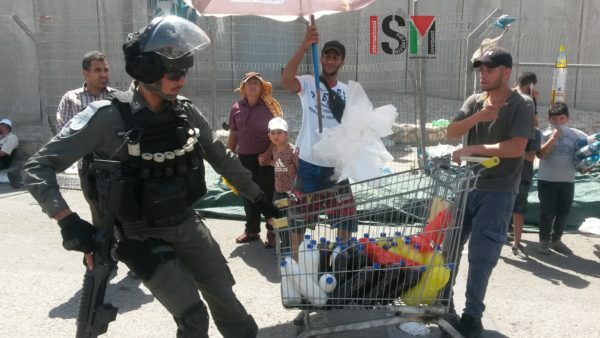 Many Palestinians go to Qalandiya on Fridays during Ramadan to protest the ongoing travel restrictions that prevent them from going from the West Bank to the occupied city of Jerusalem. 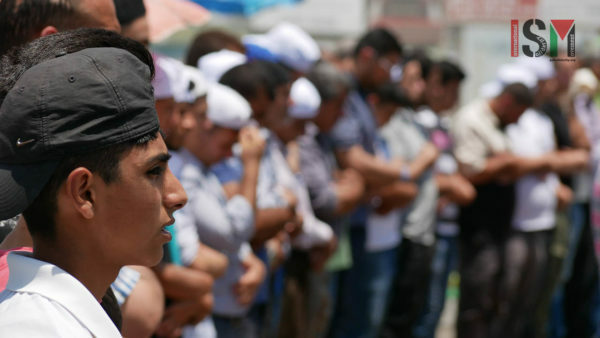 Some gathered to pray outside the checkpoint after not being allowed to pass through. 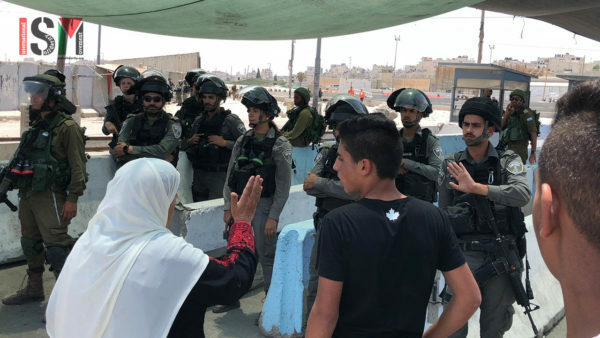 Inside the military checkpoint, Israeli forces harassed many men, women and children, some of whom were allowed to pass through while others were forced to wait for hours inside the checkpoint. 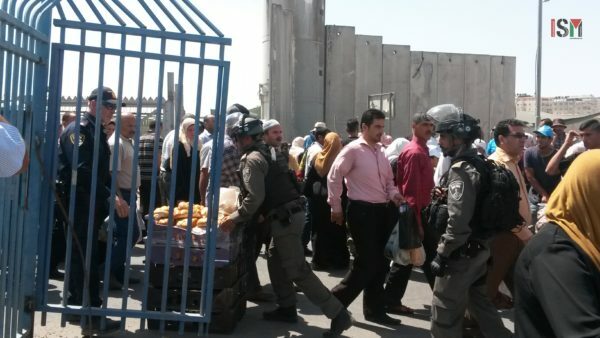 At around 12pm, Israeli forces closed the main checkpoint going into Israeli-occupied East Jerusalem. 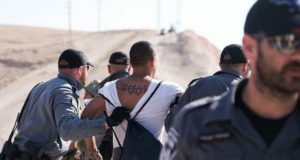 Israeli forces continued to assault people within the checkpoint, and one border police pointed a tear gas launcher at a crowd of men, women and children, threatening to fire tear gas at them. 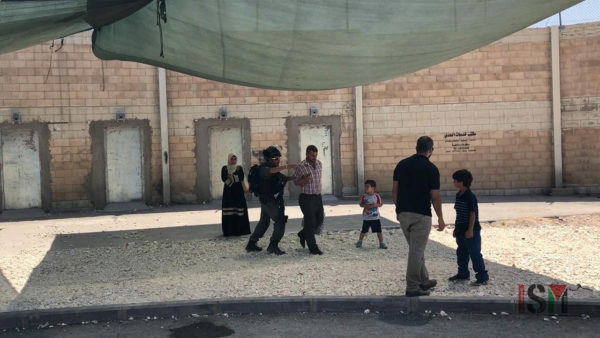 Israeli forces pushed a metal fence against a group of women and children, and started to push people out of the checkpoint, assaulting several women. 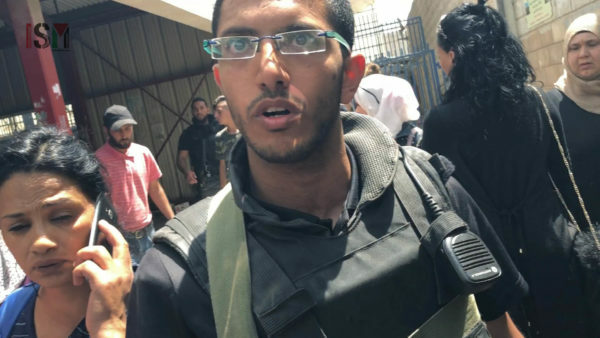 The same Israeli border police officer who had pointed his tear gas launcher at a crowd of people then assaulted a group of women and children as he pushed them out of the checkpoint. 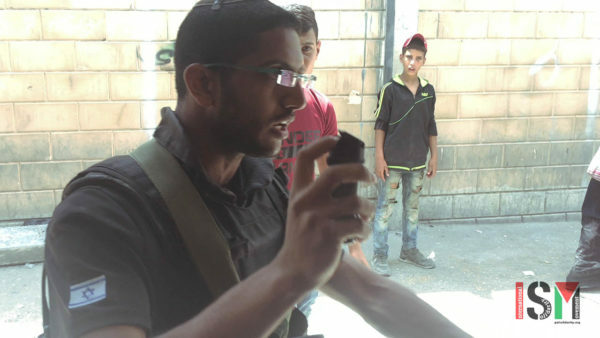 Another Israeli border police officer pushed men and women from the checkpoint and threatened them by raising pepper spray in their faces. 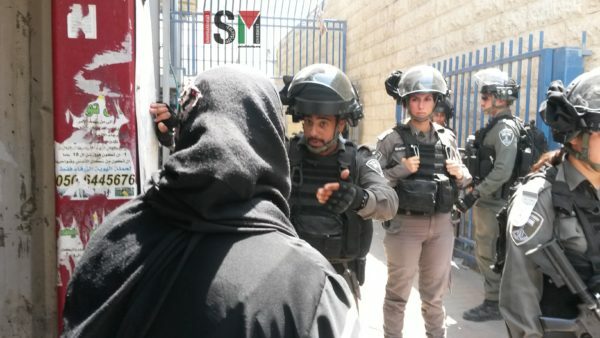 As far as ISM observed, no one was injured during the assaults, although two young girls around the age of 9 or 10 were visibly upset and crying. 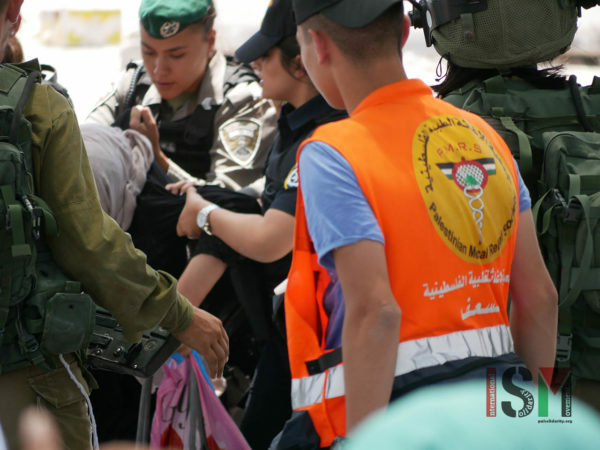 Outside the checkpoint, Israeli police and border police continued to push people away, including a group of women sat on the floor in a shady area, for no apparent reason. 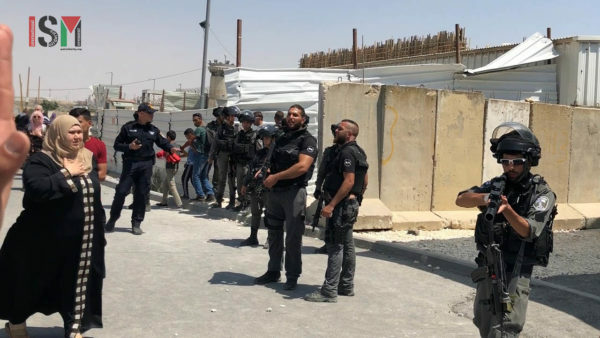 One man, from the Nablus area, aged 50, had not been allowed to pass through to Jerusalem, and was stuck on the Ramallah side of the checkpoint, not able to meet his friend in Jerusalem and attend prayers at Al-Aqsa. As men, women and children continued to be pushed back from the checkpoint after it was closed, he laughed as he said, ‘what, do we need a Jerusalem ID to be here [in the waiting area outside of the checkpoint] now?’ He told ISM that he has been inside occupied East Jerusalem on the other side of the Israeli-controlled military checkpoints, and that it makes him sad. ‘Because it’s beautiful, and it’s our land, it’s my land.’ Many other men from the West Bank have never been allowed into the occupied city of Jerusalem because of the Israeli occupation’s travel restrictions. 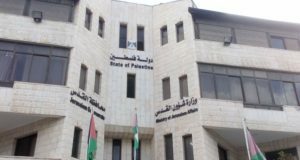 For more on the extent of travel restrictions imposed on all Palestinians across the occupied West Bank see here. 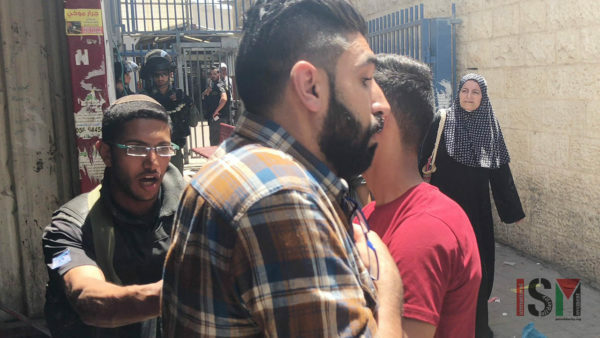 At around 2pm many Palestinians arriving on buses from Jerusalem walked back through Qalandiya checkpoint, returning to the rest of the West Bank. 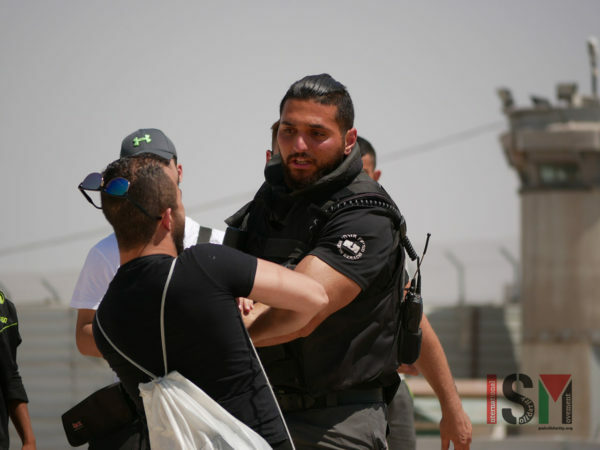 Israeli border police continued to harass people who not allowed through and were stood waiting for their friends and family to return. 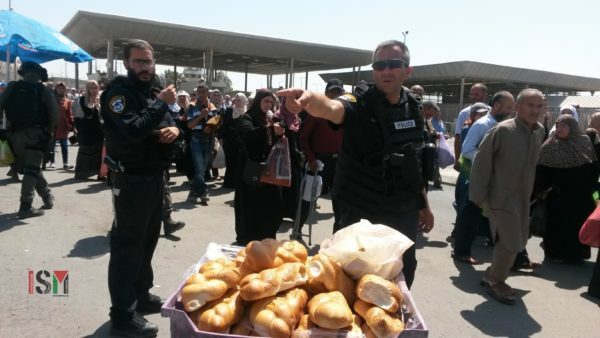 A group of border police started to push Palestinians selling bread, sweets and drinks on the Ramallah side of the checkpoint, demanding that they move their stalls away, despite there being plenty of room for people to walk through. 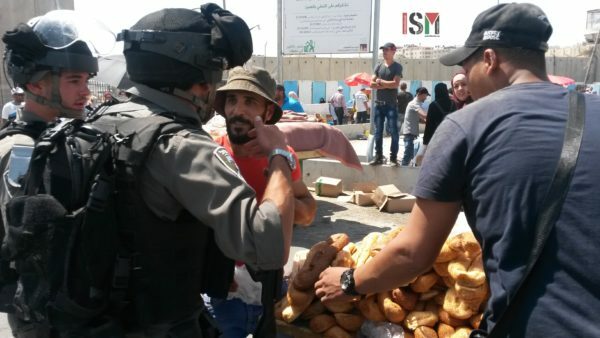 Israeli border police seized cartloads of bread, sweets and drinks from the market sellers, moving them inside the gates of the checkpoint, and did not allow them to sell their goods for at least half an hour. 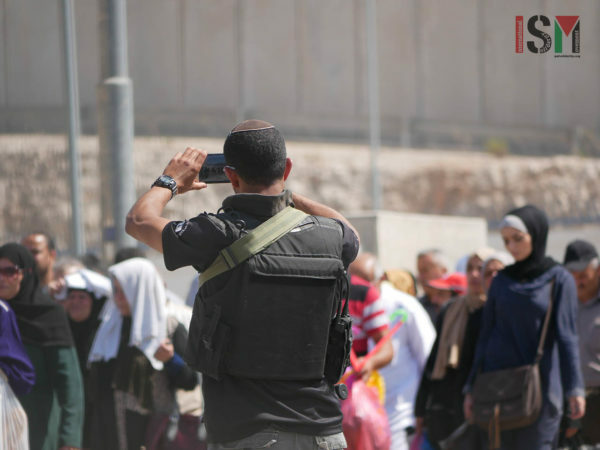 ISM observed as two Israeli security forces filmed the Palestinians passing back through the checkpoint, apparently on personal mobile phones. 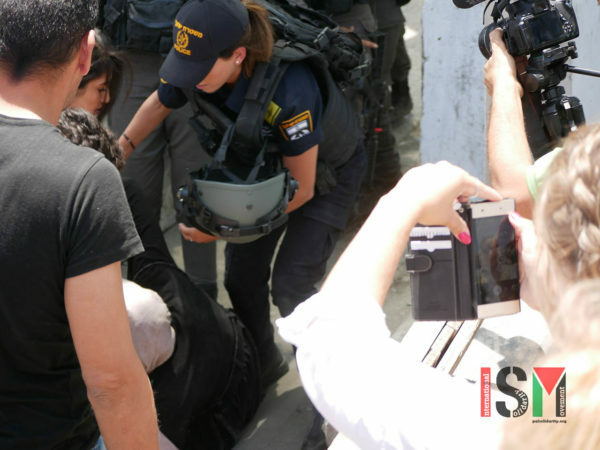 One Israeli security officer approached international observers to harass and film them.